We visited what turned out to be one of my favourite places in Hanghzou on our second day, Leifeng Pagoda. We hired a taxi driver for the day and it was the first place he took us to. We wondered whether we should just stand outside and take a couple of photos or pay the entry fee and go in to take a look around. We went with the latter, and it was the right decision. 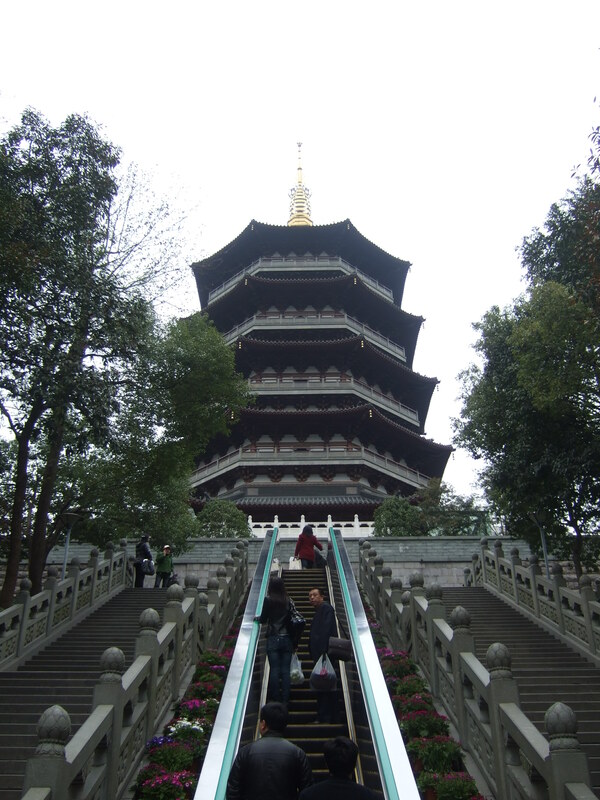 The Leifeng Pagoda that stands in Hangzhou now is not the original, which was built in 975AD but largely burnt down by Japanese pirates during the Ming Dynasty. Apparently, superstitions about the power of the pagoda led to people stealing bricks from what was left of it, and eventually the whole thing just collapsed in 1924. 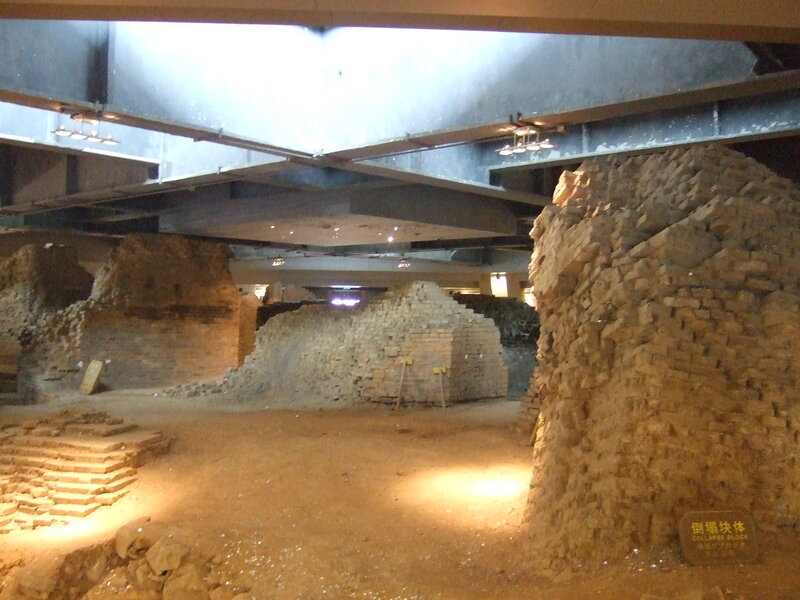 It wasn’t until the turn of the millennium that the government decided to build a new one over the old foundations. The new Leifeng Pagoda is very tourist friendly. 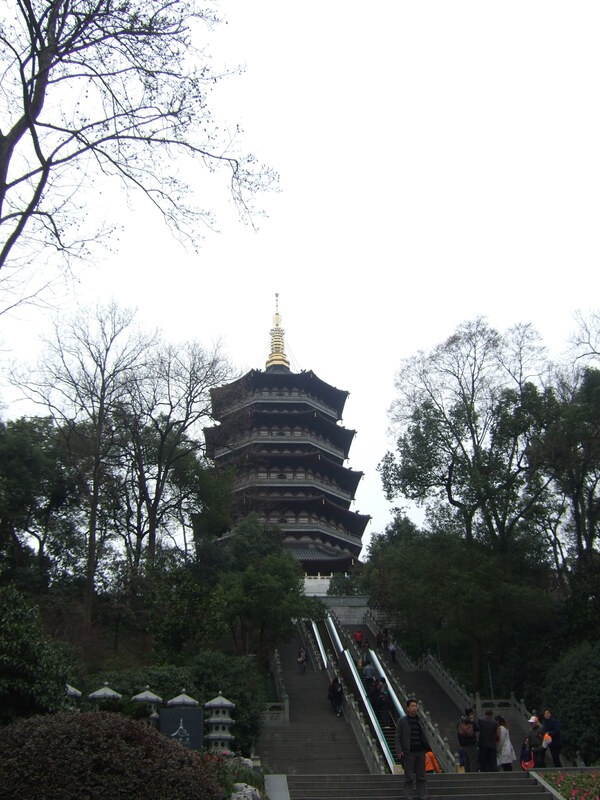 For starters, there is an escalator that you can take up to the base of the pagoda. I had never seen escalators at a pagoda or temple or similar attraction before. 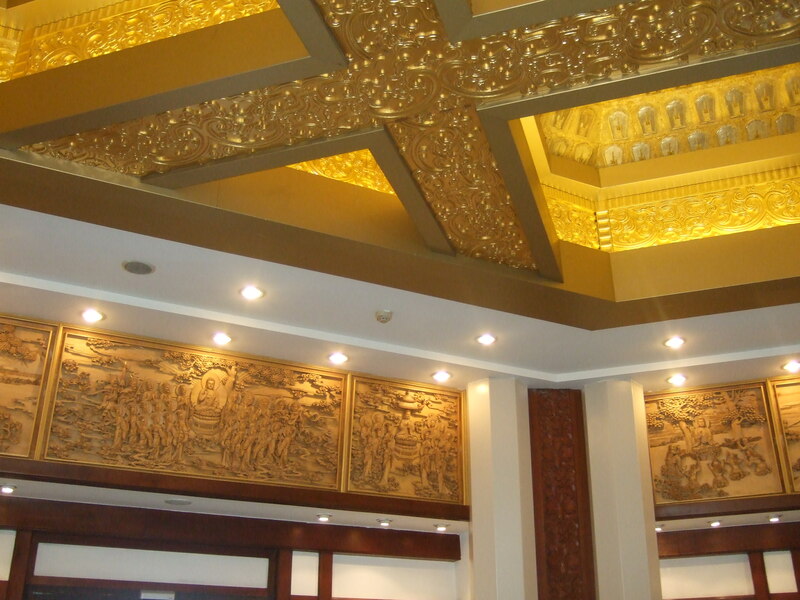 Once inside, you can take an elevator to one of the five floors of the pagoda. One of the floors shows visitors the remnants of the old foundations, which for some reason I found kind of spooky. 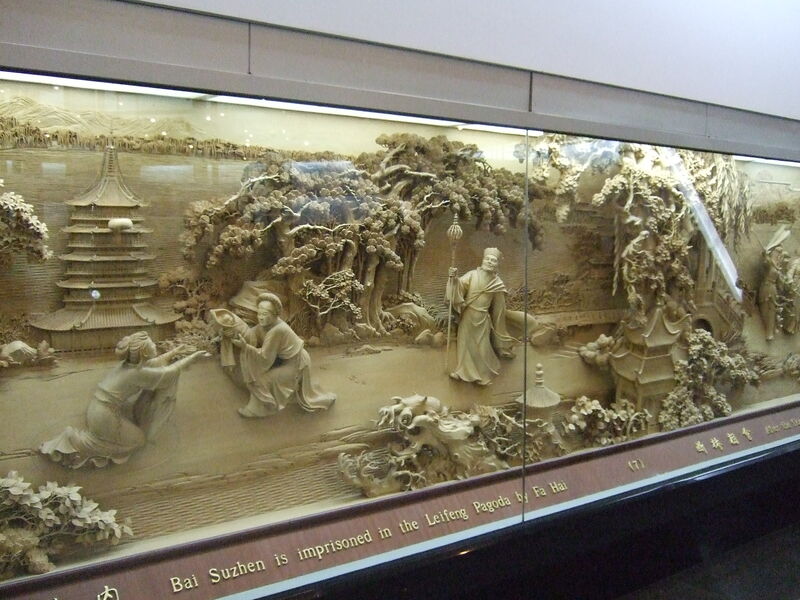 There were rumours that the pagoda was used as a mausoleum and an excavation unearthed many treasures. 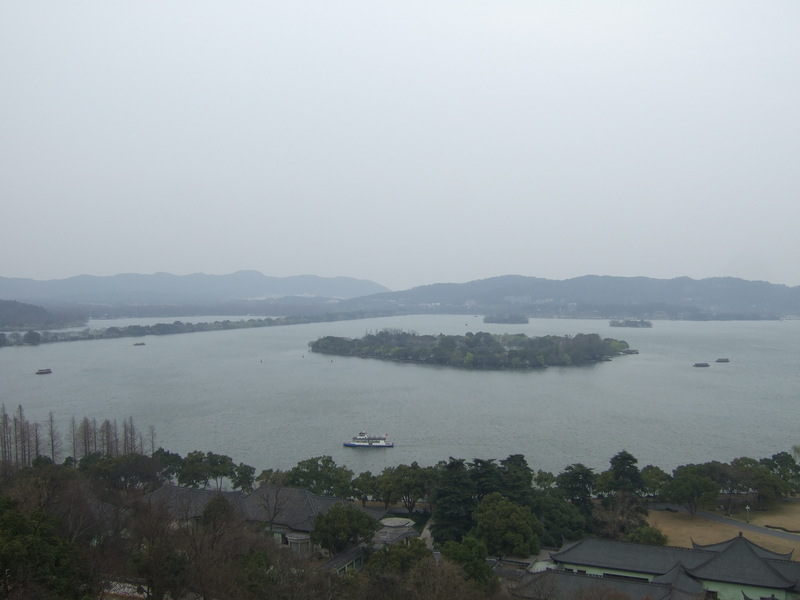 Several of the other floors allowed visitors to step outside and enjoy the panoramic views of the West Lake from as high as 72 metres up. My favourite floor, however, was the one that retold the legendary Chinese fairytale of the White Snake in amazing carvings. From what I could gather, it’s about some dude who falls in love with a woman who is actually some kind of snake demon (bad eyesight?). Eventually the snake demon is pinned under the Leifeng Pagoda by a super monk. End of story. 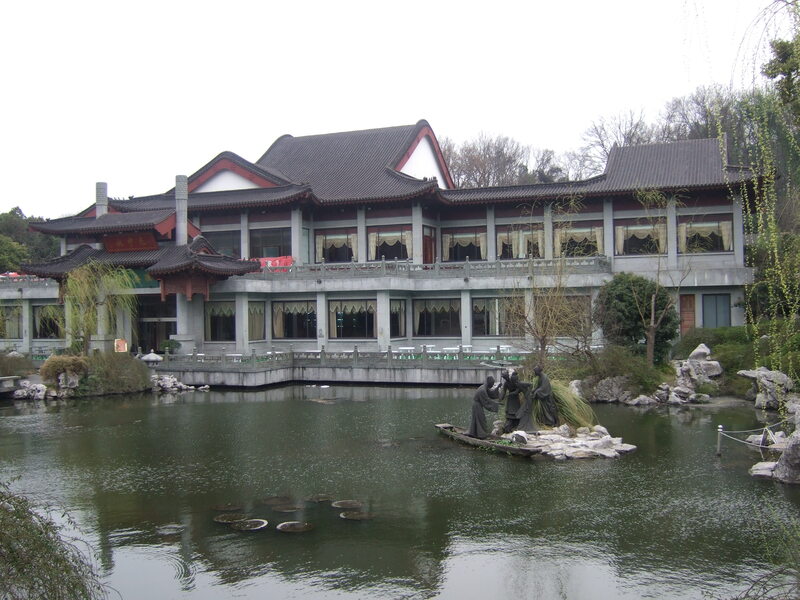 In short, if you’re ever in Hanghzou, checking out Leifeng Pagoda would be a pretty good idea. 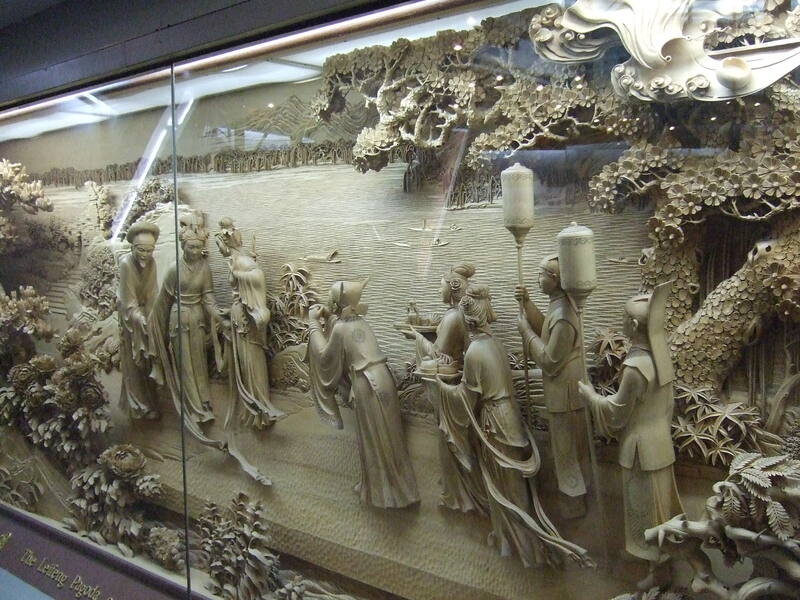 Escalators, elevators, great view and a fascinating story told in carvings. Not bad at all.